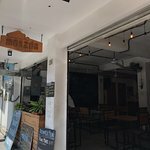 Restaurants near Monzon Brewing Co. 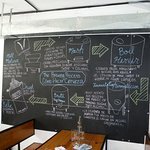 Things to do near Monzon Brewing Co. 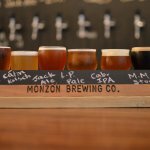 Excellent beer and delicious food - Monzon Brewing Co.
Review of Monzon Brewing Co. 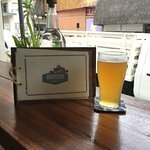 Description: Monzon Brewing Co. is committed to serving delicious and interesting beer and food. Beer is brewed in house and available in a variety of sizes to quench any level of thirst. Enjoy pub favorites such as tater tots, nachos and chips, or freshly prepared homemade Mexican dishes. All food is prepared at Monzon. Our open dining area means you can see the beer tanks while sitting at your table. Friendly and knowledgable staff is trained in the process of making beer, and is excited to share their love of beer with you. Not a huge beer drinker? We also offer a menu of craft cocktails made using freshly squeezed lemons, limes, and iced teas. 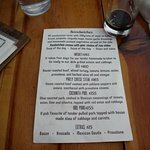 Just finishing a lovely lunch st the brewery. This is a fabulous find in PV. The kolch was refreshing, 4.8%, beautifully balanced, nice Pilsner hops. Perfect for a warm day in PV. The session IPA was great- weedy hops, 5.3%. Nice malt middle, excellent bitter finish. for lunch we ordered the Rajan poblanos con creams. An excellent choice for two.delicious thick tortillas with peppers and black beans. Tasted authentic. We sat lookeing our st the street and watched life’s rich pageant. Delightful. Lisa, our server, was very knowledgeable about the brews. Highly recommend this gem. 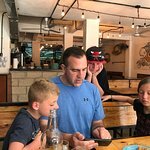 Ask Ehagell about Monzon Brewing Co. 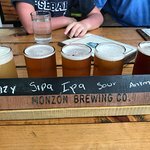 Stopped at Monzon Brewing to sample a flyght of their beer. Beer was refereshing, some were better than others but all were ok. The atmosphere was quiet but it was nice to sit at the bar to do some people watching. 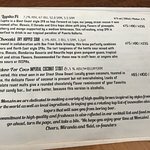 Ask BeeKen1987 about Monzon Brewing Co. The beer is really good and reminds me of a spot I would find in San Diego. The taps rotate with different styles which covers the bases for the craft lovers or the easy drinker. 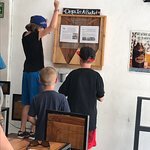 If you want to grab food here the tacos are delicious but a little pricy, we came in a few times during our trip and ate in on our last night. Overall best craft beer hands down in town! 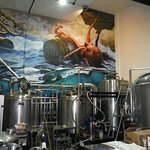 Ask snakedealer about Monzon Brewing Co.
Microbrew is getting more popular in PV, Monzon has been in operation for maybe 2-3 years. 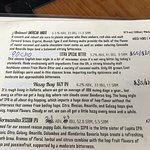 They now have 2 IPAs in addition to about 8 other styles, a pub menu makes some food available. I like the feel of Monzon and my server on this trip, Santiago was great. Great way to meet people and chat, too, if you happen to be traveling solo. 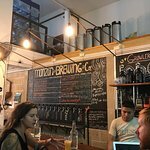 Ask MK_in_VT about Monzon Brewing Co.
We don't like terribly hoppy beers but wanted a change from the lovely beers of Mexico, so stopped for a first visit at Monzon. Our server was in training so was rather confused, but he had a good heart. We were confused by the beer sizes, because the menu states them in mm but the waiter referred to them in ounces. We ordered their Cochinita Pibil sandwich which was to die for - see pic of menu for description. Also really liked two vegetarian sopes, like thick baked tortilla - one with lentil and mushroom and the other with peppers, onion, corn and cream. Muy sabrosa comida. 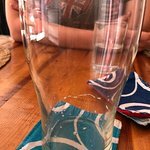 We found two of their tamer beers that we enjoyed - Calmate and Yakima. These guys appear to be focused on good quality food and brew. Buen trabjao, compadres! 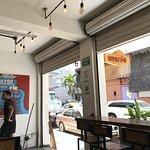 Ask Richard289 about Monzon Brewing Co.
Been to Monzon Brewing Co.? Share your experiences!